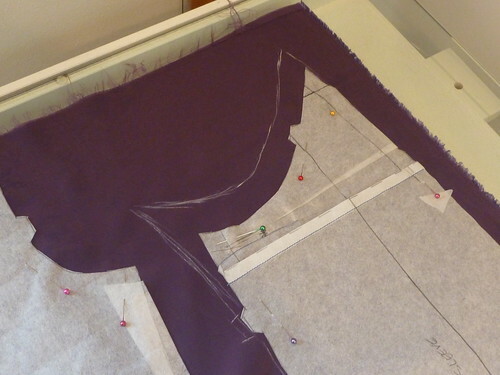 The Japanese Pattern Challenge: The Halston Shacket...Let the Sewing Begin! I was taught to sew everything, except zippers, on a straight stitch machine with the old plain foot. No walking foot. It is possible to match everything. Really nice. The color of the lining is great. Nice pocket work. I do think 'from the pockets out' on most clothing. I want them where I want them, I want them to hang well and not show; yes, I am sewing a piece of clothing around the pockets. The bias plaid chest pockets look so badly considered, particularily on an 'unbalanced' plaid; why use a plaid if you aren't going to try? Okay, I'll go back to the pocke-holic corner....with a copy of the Cabrera. 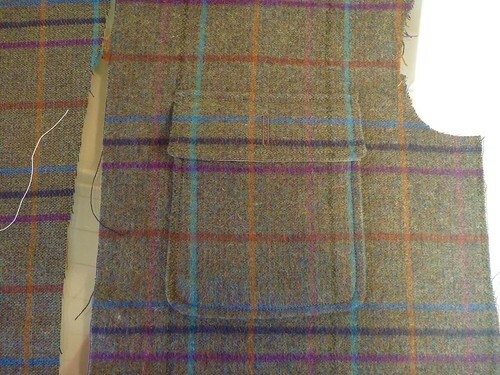 The plaid matching on the patch pockets turned out terrific. 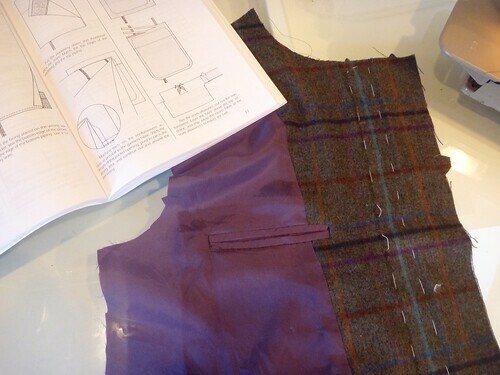 I love the purple bemberg lining. 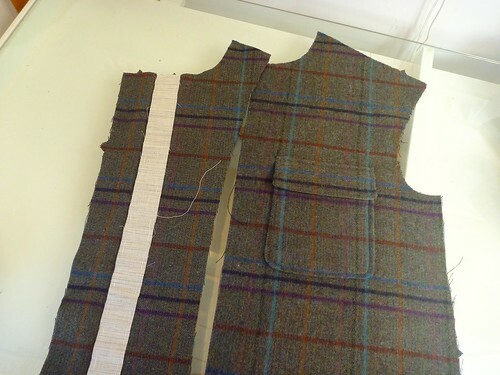 I'm very interested to see this come together as you work on the collar section. I'm making a bowl of popcorn right now. I admire that you're not afraid of color yet everything you make is tasteful. 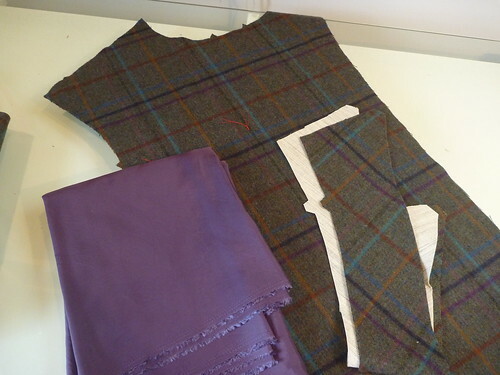 This is a phenomenal plaid and you couldn't have chosen a better lining fabric. 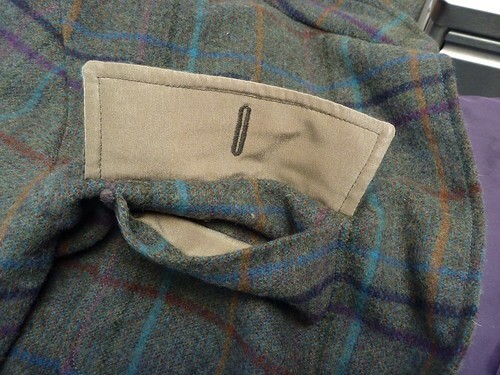 Like you, I would have hated not having an inside breast pocket. I too am eagerly awaiting the final reveal.